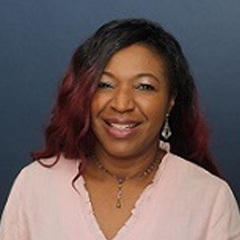 Mary Opara, B. Ed, RN, MSN, PMHCNS-BC is a Board-Certified Psychiatric Advanced Practice Nurse and Clinical Nurse Specialist at Georgia Behavioral Health Professionals at the Johns Creek, GA location. She graduated from Brenau University where she obtained a Bachelor's of Science in Nursing degree. Mary holds a Master's Degree in Adult Psychiatry and Mental Health Nursing from Georgia State University. Ms. Opara is licensed to provide mental health care to adults. She has over 16 years of experience in a variety of psychiatric settings. Mary is affiliated with the ANCC, her credentials are renewed every five years for Advanced Practice Registered Nurse Licensure. She has worked as a Psychiatric/Mental Health Registered Nurse for 10 years in a correctional facility in Georgia. During her training for Advanced Nursing, she has worked in two separate private practices in Lawrenceville, GA, as well as Grady Hospital mental health department. On procuring my Advanced Degree, she has worked in a variety of settings seeing patients for Psychiatric Assessment, Diagnosis, Medication Education/Management, and Psychotherapy. Settings to include Summit Ridge Hospital in Lawrenceville, GA in the Partial Hospitalization Program, DeKalb County Jail â€“ Mental Health Department, and Strong Tower Behavioral Healthcare in Marietta, GA in private practice.